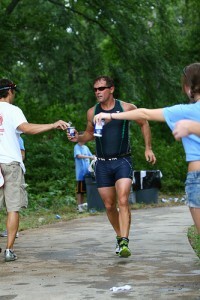 Staying well hydrated is a key factor that makes a significant difference in the performance and health of an athlete. However, like in all things moderation and well balanced proportions are essential to truly benefit the most from it. That is why today at Athletic Republic in Toledo, we want to further discuss the importance of staying hydrated and how to make sure you don´t overdo it. In a previous post we talked about how ;our bodies are made up of water and how to calculate the portion of water that our body need. Most people that drink water when they are thirsty and don´t exercise intensely don´t really need to worry about dehydration unless they are under severely high degrees that they are not used to. However, athletes need to take special precaution and make sure that if their sport training sessions are intensely demanding and prolonged they can replenish the fluids and other nutrients they loose when they sweat excessively, but they also need to take precaution and not overdo it. Can Too Much Water be Dangerous, Even for an Athlete? Water is a great option for most people but it can also be dangerous if over consumed, even for athletes that are under constant exercise. Drinking more water than your body actually needs can cause hyponatremia. This means that if your ;intake of water reaches a very ;high level, the sodium levels in your blood may become diluted to a degree that is not at all healthy. Athletes that take part in demanding endurance activities such as triathlons and marathons have a higher risk of encountering this problem. During intense training or competitions, good sport training drink low on sugar can be a better option. Improve ;your performance and your health by making better decisions, today. At Athletic Republic in Toledo, we are a team of highly qualified sport training professionals, that are ready to help you become a better version of yourself. Start training with us today, call (419) 882-0661 now.